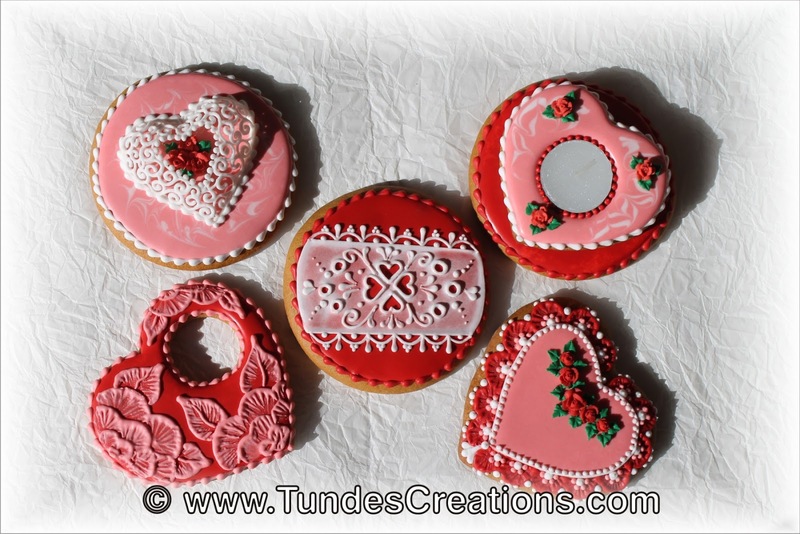 I decided not to plan too much ahead for the Valentine's cookies. I baked some circles and some hearts, prepared red, pink and white icing in flood and piping consistencies and started to play. 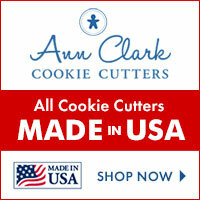 I already wrote a post about the napkin ring cookies, so I will not talk about that one now. So let's talk about the next cookie. This is a 4 inch heart. I traced a 3 inch heart on top, then I created the red scalloped border with brush embroidery. Then I flooded the 3 inch heart with pink and let it dry. I finished the border with lots of dots and put some toothpick roses to the middle. 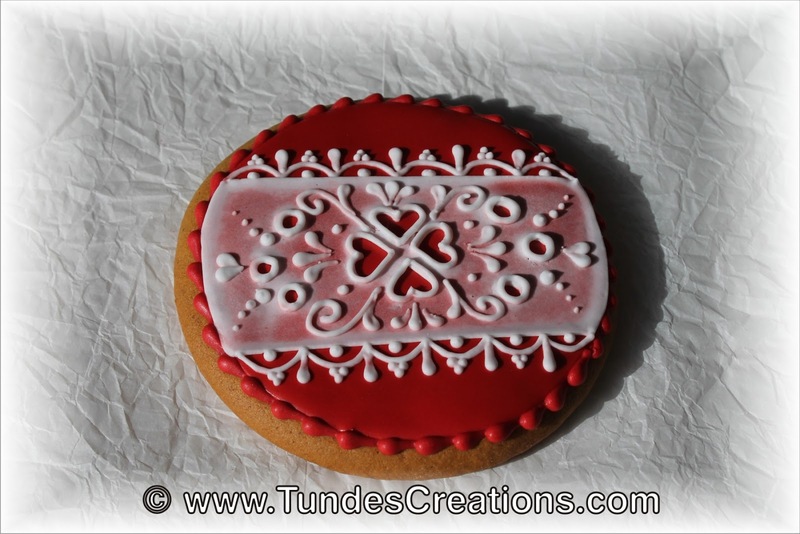 This cookie has a simple red flooded base, a red bead border and a transparent lace pattern. You can see how to make this lace (using 3 second consistency icing) here. 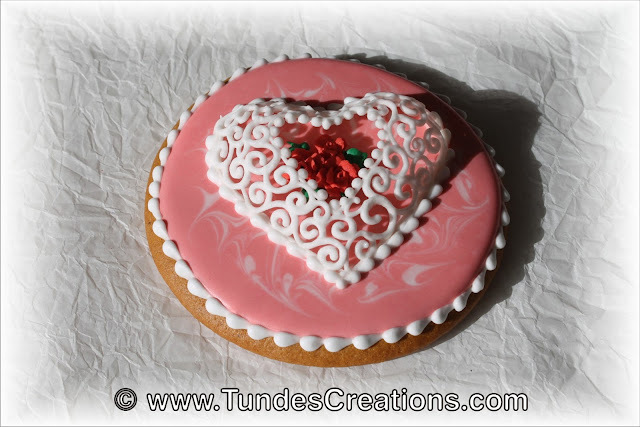 I made this heart shape icing transfer using a 3D cookie mold. 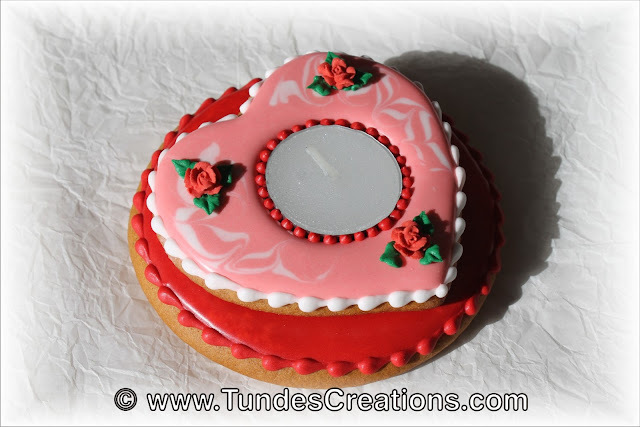 I started with a marbled pink and white base color and when it was dry I placed 3 roses to the middle of the cookie then I added the heart transfer. I finished the design with white bead border. This is a little candle holder. The base is a simple circle flooded with red icing and finished with a bead border. I cut the middle of the heart cookie after baking, then added a marbled flood base. I glued the two parts together, placed the candle inside the hole. I decorated the heart cookie with 3 little roses and finished the design with borders. 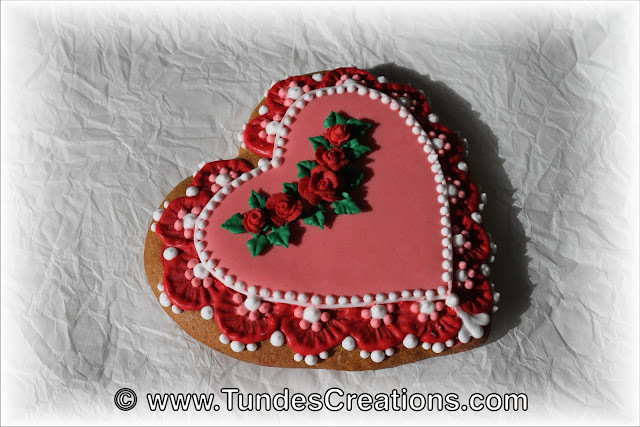 hi tunde the entire set is stunning i've been thinking of you and your designs and techniques i'm interested and intrigued about how you were able to form the heart in a cookie mold and how you were able to remove it from the mold.